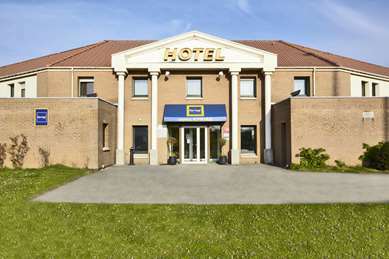 Vous recherchez un hôtel pour votre séjour en Nord-Pas-de-Calais ? 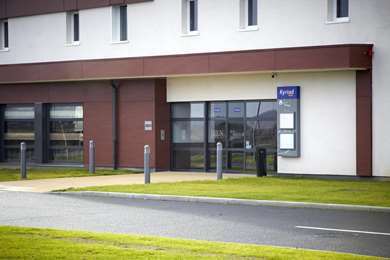 Profitez du confort et des services personnalisés d'un établissement Kyriad. Nord-Pas-de-Calais is the northern most region in France. It combines the departments of Nord, literally ‘north’, and Pas-de-Calais, which translates as Straight of Calais, the French name for the Straight of Dover. On a clear day the White Cliffs of Dover are visible from Calais. There are currently debates over the name of the region with several petitions aimed at changing the name to various other suggested titles such as the French Low Lands or Region Flandres-Artois. The North Strait of Dover region has always been of strategic significance. Several times invading armies have used the area as a route to their conquests. French President Charles de Gaulle called the area a ‘fatal avenue’, and it has been conquered multiple times by different forces since the Celts. After the French annexation of the area in the 18th century, much of the area was occupied by German forces during the First and Second World Wars. Take a weekend city break in the region’s capital, Lille. 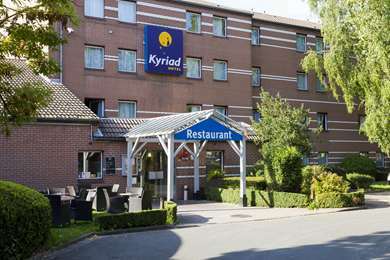 The Kyriad Hotel Lille Est is less than a ten-minute walk from the Lille Museum of Modern Art, which contains works by Picasso and Miro and in an architecturally stunning building. Ten minutes by car from the Kyriad Hotel Lille Est is the Palais des Beaux Arts, containing works by Goya and Donatello. 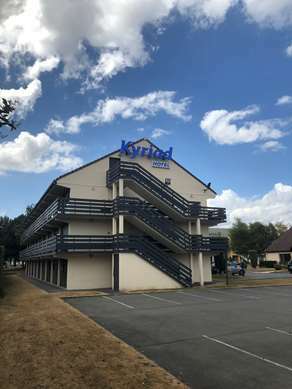 Stay at the Kyriad Hotel Dunkerque Sud – Loon Plage and visit the historic site of the Dunkerque landings which saw fishermen come to the aid of trapped British soldiers. A 15-minute drive from the Kyriad Hotel Calais Sud is the Musee de la Dentelle, which will teach you the history of lace-making in the area. It is set up in an old lace factory. Calais Beach will also make for a great summer day out. 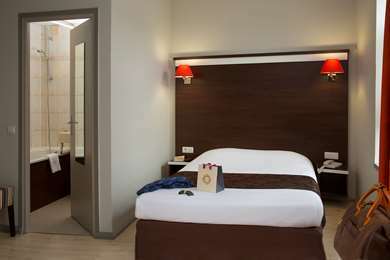 A 20-minute drive from the Kyriad Hotel Calais Sud is the town of Boulogne-sur-mer . Here you will find the Nausicaa, the National Sea Centre. The centre is full of a wide range of sea creatures and is a great way to spend a rainy day. In Lille is the Parc Zoologique, another great family day out with loads of animals that will marvel both children and adults. The public transport in the region’s cities is generally very good, but if you are looking to travel around the area and visit various towns or cities you will probably want to rent a car. Taxis are also available in most towns and cities but make sure the driver uses his meter or agrees the fare before you get in. 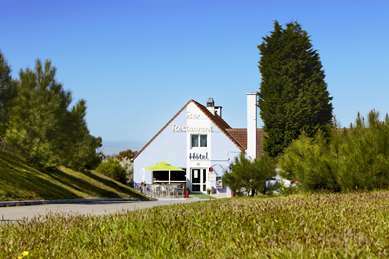 The North Strait of Dover region is known for its varied gastronomy and drink, including local beers and the little known regional wine. Maroiles cheese gets its name from an ancient village in the region. Betises de Cambrai are a minty sweet which the area is famous for and were invented when a teenager made a mistake while working in his family’s sweetshop. The Dunkerque Carnival takes place between the end of January and the start of March. The event is known for its crazy atmosphere and live music and has been running since the 17th century. In April there is an annual kite festival held in Berck-sur-mer . The event features all sorts of kites from around the world. As an important strategic area, the region of North Strait of Dover has been invaded many times over its history and changed hands a lot. It was conquered in turn by the Celtic Belgae, the Romans, the Germanic Franks, the English, the Spanish, the Austrian Netherlands and the United Province of Holland. The French finally annexed it in the 18th century but it was again occupied by the Germans during both World Wars.